Who watches your pets when you're away on vacation? Many of us are lucky enough to have a trusted friend or family member to care for our pets when we're away, but sometimes that's not a possibility. There are many pet sitters available for hire--it can be overwhelming with all the choices! It's hard to know which pet sitter is best qualified, who you can trust with your pets, and who will treat your pets with the same love and respect you give them. It's even more difficult when you live in rural Dane County, outside of the service area of many Madison-based pet sitters. Mad About Pets wants to make your job a little easier: meet Lindsay's Pet Sitting! 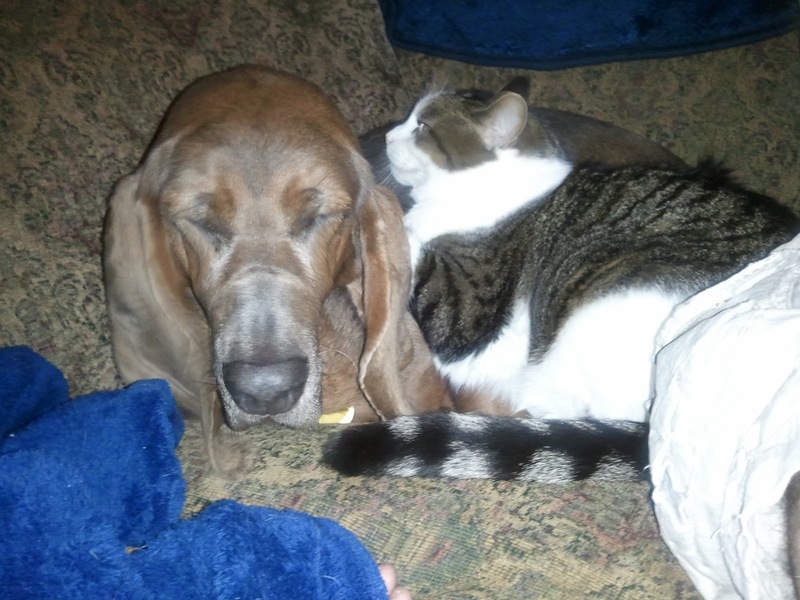 Lindsay's Pet Sitting is based out of Waterloo, Wisconsin and serves other surrounding communities. 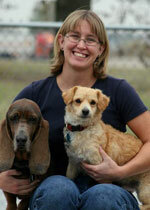 Lindsay is a lifelong pet lover and has over 20 years of professional experience with animals. She was kind enough to grant Mad About Pets an exclusive interview about her pet sitting business. Get to know Lindsay, your new favorite pet sitter! What is your personal background with pets? Do you currently have any of your own? I have been working with all kinds of animals since I was 6-7 years old. I grew up with a bunch too: dogs, cats, rabbits, reptiles (iguanas, chamelions, etc), rodents (gerbils, mice, rats, etc), and of course fish. (In fact, my parents took a picture of me in my crib touching nose-to-nose with our Dachshund Charlie.) If I wasn't in school, I was attending animal care classes, dog training classes, and helping care for family's and friends' pets. I started training dogs when I was 14-15 years old in obedience, and when I was 16 I worked my first job at the Washington County Humane Society as an animal caregiver. I just continued working in various animal jobs up until currently. The list of places include the Dodge Country Humane Society as an animal caregiver, adoption counselor, receptionist, and working with the Beaver Dam Police Department for animal/stray control and on cruelty cases. I also worked at Dane County Humane Society, Spring Harbor Animal Hospital as a caregiver and vet assistant, I was a manager at a dog daycare, I worked at Pet Supermarket in Madison, and various boarding kennels around the state. I also have done animal behavior modification for aggressive dogs and cats over the years, through the humane societies and with various dog trainers. I also have volunteered at various humane societies for vaccination clinics. 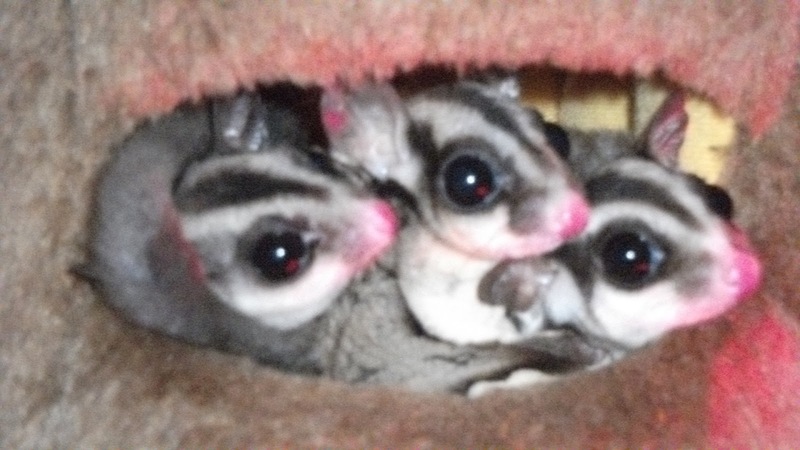 I have worked with all breeds of dogs, cats, rabbits, birds (including cockatiels and parrots), chinchillas, ferrets, snakes, lizards, amphibians, sugar gliders, and SO many more. I was always doing something with animals on my free time as I grew up. What made you decide to pursue pet sitting? I have always enjoyed caring for people's pets. It was always a natural thing for friends and family to contact me to care for their pets. They knew I had a strong passion for animal care, had a good rapport with animals, and made a connection that was very spiritual with the animals. 3 years ago I moved to Waterloo due to a divorce. At that time I noticed there weren't many options for boarding around this area. As I met people, and they found out what I did for a living, they asked me to care for their pets. (I was also hearing from a number of people they were upset with the boarding prices at many of the facilities around and that it was inconvienient to drive 20-30 miles one way to board their pet. PLUS their pets were anxiety-ridden about being boarded in a kennel.) I was commuting to my job at a pet care facility on Nesbitt Rd in Madison 5 days a week, driving a total of 500 miles a week. There came a point I couldn't drive that much, due to gas prices, anymore. This past February I decided to market my own pet sitting services. I figured with over 20 years of animal care experience under my belt, and other qualifications (which I'll mention in a bit) and the need in this community for this kind of service, I felt it was a good fit. Animal care has always been a passion, I honestly couldn't envision being happy doing anything else. Do you have any special training or qualifications that set you apart as a pet sitter? Besides my previous experience mentioned, in 1997 I took a 3 month Humane Education Class at the Hinsdale Humane Society in Hinsdale, Illinois. I also attended an animal behavior class and lecture while I was working at the Dodge County Humane Society (the class taught how to reduce stress in shelter animals). Then, back in July of 2010 I completed a course for Emergency First Aid for Pets at Emergency Medical Training Services out of Brookfield, WI (run by an instructor through the Red Cross), and became certified in animal CPR and Heimlich. My pet sitting is also fully insured through American Family Insurance. What kinds of animals do you serve? Do you have any restrictions? I care for all kinds of animals. I have no restrictions. Dogs (all breeds, I'm 100% comfortable around Rottweilers, Dobermans, Shepherds, and the bully breeds), cats, birds, rabbits, exotics (chinchillas, sugar gliders, wildlife, etc), lizards, repitles (yes even snakes-I have no fear of them), amphibians, and even livestock (I have clients who have llamas, sheep, steers, horses, etc). I have always had dogs and cats of my own, but I've also had 2 chinchillas and 4 ferrets in the past. I've grown up with Great Danes, Bassets, and a Shepherd/Collie mix, so I'm used to BIG dogs. I've also rehabilitated a red squirrel and a grey squirrel. Currently, I have 7 cats, 2 dogs (a Basset Hound and a Pembroke Welsh Corgi/Miniature Poodle mix), a mini-lop bunny, 5 sugar gliders, 2 gerbils, and two 50 gallon fish tanks. One of the tanks is all chichlids (which are aggressive fish), the other tank is a community tank with a Snakeskin Gourami, various species of tetras, etc which are non-aggressive fish. So, as you can see, this passion still carries on in my personal life. Contact Lindsay's Pet Sitting to see if you're in her service area! My service area is Waterloo, Watertown, Lake Mills, Marshall, Sun Prairie, and all the country roads in-between. 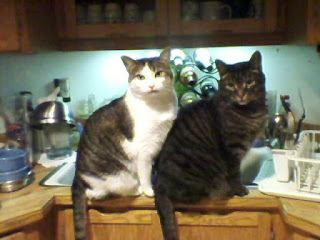 Why should Mad About Pets' readers hire Lindsay's Pet Sitting over other pet sitters? As I tell everyone, I take animal care seriously. Animals can't speak, and they trust us, so we need to show them that respect and love back and work to understand them and their needs. In my eyes, animal care doesn't take a vacation, just because it's a holiday and everyone else is not working, that doesn't mean your pets don't need care during that time. I apply that dedication to every single animal I care for. I am always flexible and don't mind working through the holidays. I'm a no-nonsense kind of person. In my eyes, someone saying on paper why they're "the best" is a good selling point, but it's the personal connection I make with the owner and the pets (and my experience) that speaks for itself. Pet sitting IS my full time job, I do not have another full-time job. This is considered a part-time position, but I also am the Alderperson for Ward 4/5 on the Waterloo City Council currently. I also am on the Community Development Committee, Public Safety and Health Committee, the Plan Commission, and the Library Board. So, I'm very involved with the community, and serving the public politically has run through generations of my family. Everyone from my great aunt, to my grandma, then my mom (she also was the Municipal Court Judge in Horicon as I was growing up) have "politically served" either in their communities, and even in Washington D.C.
Where can readers find more information about Lindsay's Pet Sitting?